As you may already know, Birk Manufacturing’s core business is focusing on the manufacturing of flexible silicone and Kapton® heating elements. 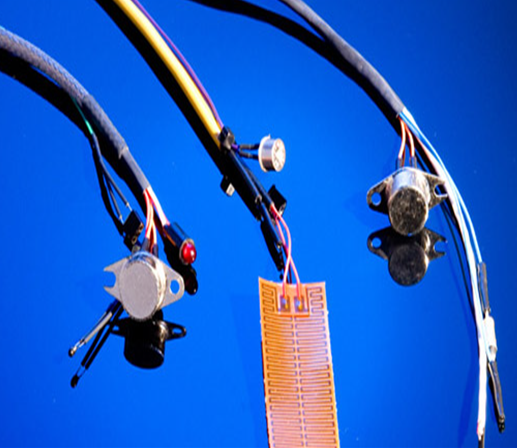 But, did you know that we also specialize in non-heated sensor assemblies and wire harnesses? Sensors include RTDs, thermistors, and thermocouples, as well as thermostats and thermal fuses. We also provide control devices that can be integrated into the assemblies. Many of these assemblies, such as those used in the medical field, are very small and must be manufactured using microscopes. All of our materials are UL & CSA certified.